"A minimum of three days emergency food and water." That's the recommendation of the Department of Homeland Security and countless other disaster relief agencies. Well here is the easist way to insure you, your family, school or corporation have this critical requirement. As disaster shelters can take hours to a full days to get regular meal service, this is a great way to make sure you and your family have the basics. 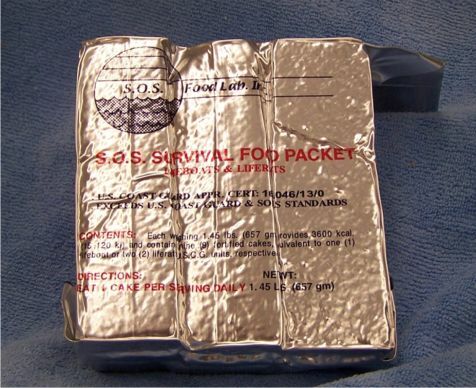 In our testing, these are the best tasting emergency food bars on the market. The 3600 calorie package contains 9 food bars with 400 calories of food each. That's equal to a low cal meal in one bar. The food has a pleasant taste similar to an oatmeal cookie, but is designed to reduce your thirst, thus helping to conserve your emergency water needs unlike a store-bought high-calorie "energy bar". 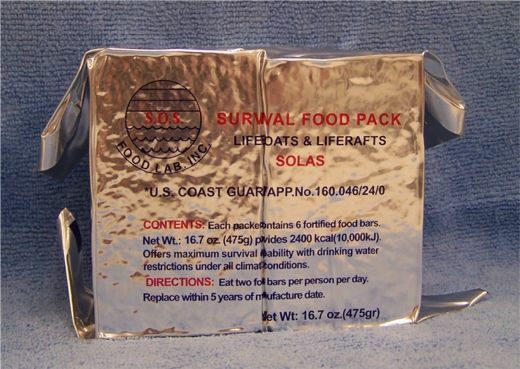 Most people use one package for 3 days emergency food for one person. Why S.O.S. 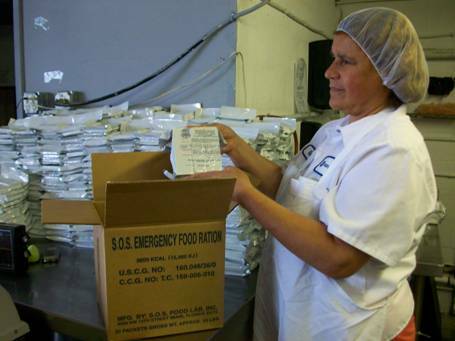 3,600 ca.Food Rations? Our baked products which are healthier and more palatable than compressed, uncooked products. 20 packages per case at 34lbs per case. We are happy to quote freight from us or use your shipping accounts to arrange the best pricing for your needs. 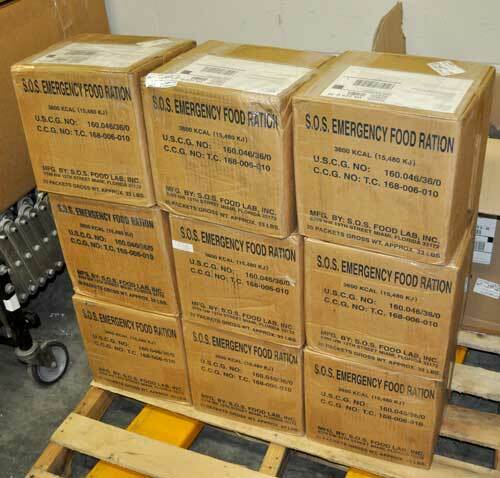 ATTENTION: when buying large quantities (20 plus cases or full pallets) Emergency food and water is manufactured as it is needed for customers. 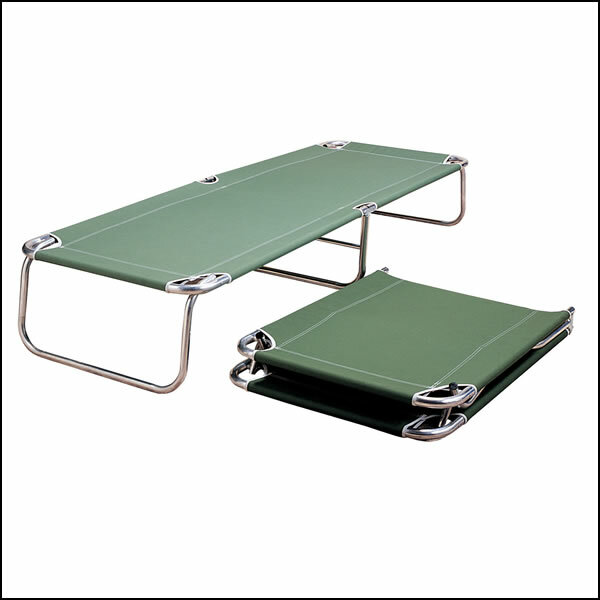 The manufacturer can only make a set amount of product each day. The process to make a food bar takes over 24 hours and requires the right mix of food products, special packaging materials and quality control to ensure long-lasting high-quality product. Their is no stock pile available at the factory to supply tons of finished product the day of your major disaster. They can't just put on another shift to produce more because now an agency wants to buy it. You and your agency must budget and plan (and pre-pay) for any large order before your disaster.